In the previous article, I have explained in detail How you can add your website to google webmaster tool and how to submit the sitemap. 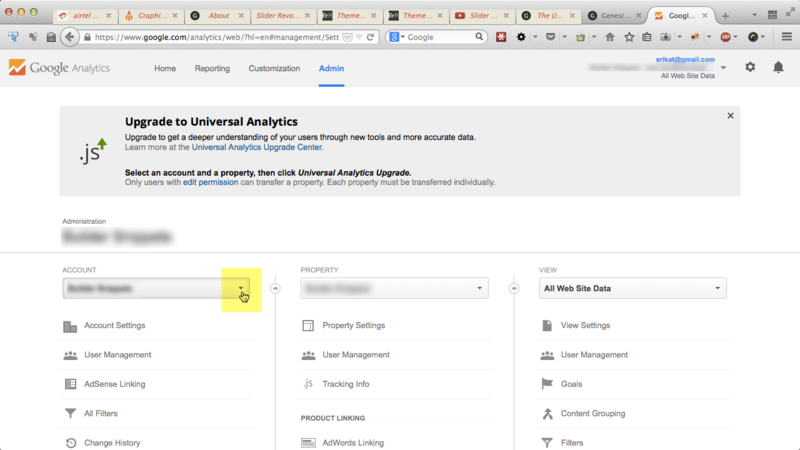 In this article, I am going to tell you How you can add a new website to google analytics in order to track all the data. If you are trying to add a new website under an existing account then you may face some difficulty in adding it. But dont worry, Here I am going to explain it in detail after which you can add a easily add a new website in google analytics. First of all, Go to https://www.google.com/analytics/ . Now just click on Analytics which is at top from right. Click on the Account dropdown and select the account under which you would like to add a new website. After doing previous step, Just click on ‘Property’ which is in middle of Account and View tab and Click on “Add a new property’ from the drowdown. Now just fill your website details and click on Get tracking id. Thats it. Now you will see the tracking id and tracking code.